(WEBPUBLICA) New York – The move sends a signal that the US is serious about cutting its NATO ally off from the advanced fighter jet over Turkey’s planned purchase of Russia’s S-400 missile system, DW (Deutsche Welle) reported quoting other news sources. The United States has halted deliveries to Turkey of equipment related to the F-35 fighter jet, the Pentagon said Monday, ramping up pressure on its NATO ally over the planned purchase of Russia’s S-400 missile defense system. “Pending an unequivocal Turkish decision to forgo delivery of the S-400, deliveries and activities associated with the stand-up of Turkey’s F-35 operational capability have been suspended while our dialogue on this important matter continues with Turkey,” a Pentagon spokesperson said. Turkish President Recep Tayyip Erdogan has vowed to move forward with the purchase of the S-400 system despite concern from NATO allies that it will threaten the security of the stealth fighter F-35. 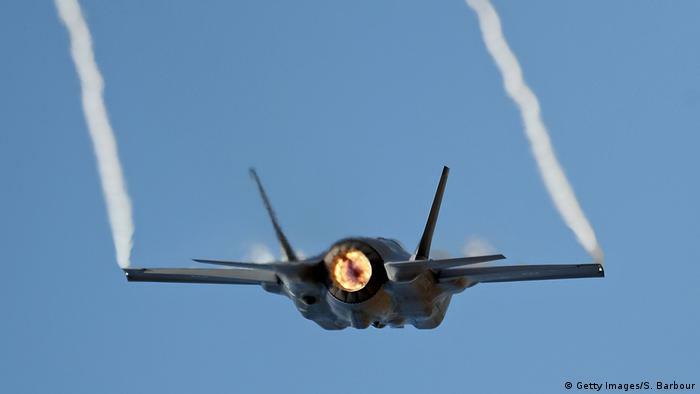 In recent months, the United States has warned that the purchase of Russian system would jeopardize Turkey’s participation in the F-35 program. Turkey has said it expects delivery of the Russian system in July. The Pentagon’s announcement is designed to send a signal to Turkey that it is serious about dropping its NATO ally from the advanced fighter jet program. 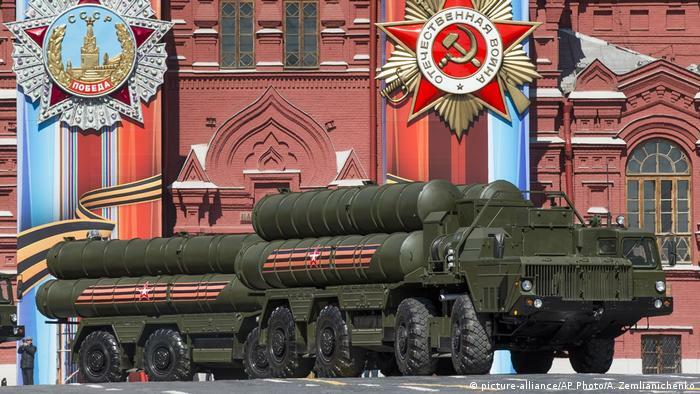 To entice Turkey to reverse plans to buy the S-400, the United States has offered the more expensive US-made Patriot system at a discounted price. Turkey has shown an interest in the Patriot system, but not at the cost of breaking its contract with Russia. It is highly unusual for a NATO ally to purchase Russian military hardware, which are incompatible with allied systems and could provide Russia with valuable intelligence on defense vulnerabilities. In the case of the F-35, the United States and other NATO allies fear the radar on S-400 would enable Russia to learn how to spot and track the $90 million (€80 million) stealth jet. The US initially planned make the first deliverly of two of the Lockheed Martin made aircraft to Turkey in November. Turkey has planned to purchase 100 of the fifth-generation jet. The Pentagon said it was also looking to find alternative sources of supply for the Turkish-produced parts of the F-35. Turkey produces parts of the fuselage, landing gear and cockpit displays. The US Congress has also been alarmed by Turkey’s planned purchase of the Russian system. Last week, a bipartisan bill was introduced in the Senate that would block transfer of F-35s to Turkey unless it is certified Turkey will not purchase the S-400. The US decision on the F-35s comes ahead of a NATO summit in Washington this week. The F-35 issue has added to a series of diplomatic spats between Washington and Ankara, including Turkish demands that the United States extradite Islamic cleric Fethullah Gulen, differences over the war in Syria, and sanctions on Iran.